On May 6th, 2017 VOICE will be holding its 25th Annual Conference to be held at the University of Guelph Campus at the Rozanski Hall. This year's conference will bring together parents of children with hearing loss, researchers, clinicians, teachers and community organizations for medical presentations and parent-oriented discussions. 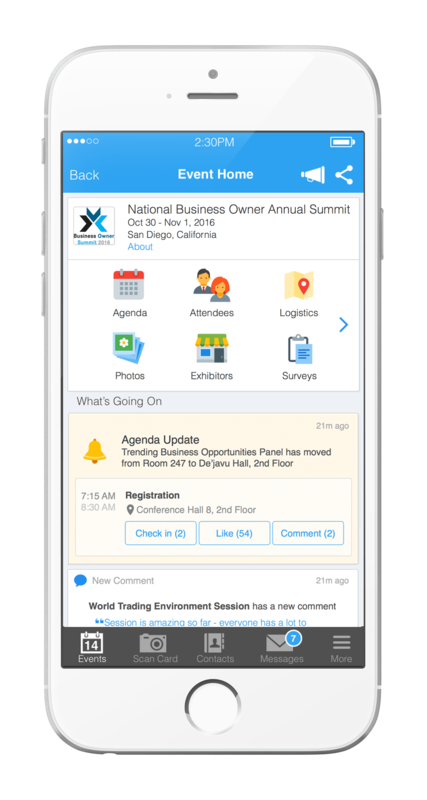 Workshops will be led by dynamic speakers from across Canada and the US to help participants access the most up-to-date information to help them overcome any challenges that they are facing. A full day Teen Talk program will be offered for teens 13 to 19 year olds and Kids Club for ages (3 to 12 years old). Following the conference, there will be a networking social to celebrate the 25th Anniversary of the Conference. Attendees will have the opportunity to meet and greet our special guest Nina Poersch from the hit CBS show 'Survivor' and our fantastic Speakers and Sponsors! Bio: Brandon joined the board of VOICE for deaf of hard of hearing children in March of 2016 with the goal of giving back to the community in a meaningful way. In his role on the board of directors he focuses on the strategy and business operations of the organization, including leading the strategic planning process. Brandon works for Magellan Aerospace as the Director of Strategy & Operational Excellence. Brandon has a BSc. in Commerce and a Masters of Business Administration (MBA). He also holds a Graduate Certificate in Change Management and is a certified Lean Six Sigma Black Belt. Brandon looks forward to continuing the large scale transformation that began in 2016 to modernize VOICE and position it to effectively meet the needs of the deaf and hard of hearing community. Bio: Cécile Santos-Ayrault is a proud mother of 3 children. Her oldest was diagnosed early in age with a progressive hearing loss and received bilateral cochlear implant before his 4th birthday. Since his diagnosis, she has been an active member of VOICE for deaf and hard of hearing children. She also became fascinated by the therapy they undergo to teach him to listen and speak and decided to start a new career in education in 2010. Her goal was to eventually teach deaf and hard of hearing children in the French school system. She graduated in 2013 from the oral/aural communication stream of the York University’s Deaf and Hard of Hearing Program and has been developing the department for the deaf and hard of hearing pupils of the French Catholic School Board of Southern Ontario (CSDCCS-Conseil scolaire de district catholique Centre-Sud). Bio: Hard of hearing since birth, D.J. Demers has never let his disability get in the way of his dreams. Inspired by comedians like Wendy Liebman and Jim Carrey, his clever, witty style of comedy will surprise you with lots of twists and turns. His stand up profiles his perspective of what it's like to be hard of hearing and the fact that he doesn’t see things any differently than most of us. It’s a refreshing and inspiring view. 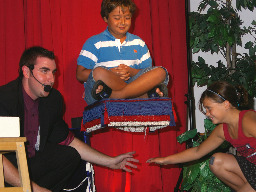 He recently moved to the United States from Toronto, Canada and has already appeared on season 11 of America's Got Talent. He has been on Conan and was the winner of the 2014 Homegrown Comics Competition at the prestigious Just For Laughs festival in Montreal, was the winner of the 2013 Toronto Comedy Brawl, was a finalist in NBC's Stand-up for Diversity, and won 'Best Breakout Artist' at the 2015 Canadian Comedy Awards. And yes, he also wears hearing aids. Bio: Donovan Dill has been inspiring youth nationwide for over 25 years. His passion for positive youth development has allowed him to speak to thousands of young people about various topics. His message about self-efficacy, intrapreneurship and positive self-development has inspired youth to become their best self. He is currently the President of S.E.E. Promotions where he coaches, mentors and consults businesses. Toronto Raptors Basketball 1995 – 2005 Community Ambassador Established and increased community relations profile for the Toronto Raptors. Instructed coaches’ clinics for youth and adults. 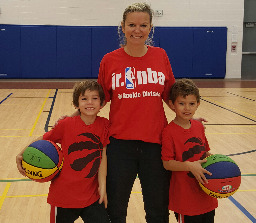 Facilitated in over 100 community basketball events across Ontario. Bio: 1997–Present Hearing Support Teacher & Resource/Accessibility Lead, Limestone District S.B., Kingston, ON. · 1991 – Diploma in Deaf Ed, University of Alberta · 1987 - Bachelor of Ed., Brandon University · Worked in: mainstream setting in a TC classroom as an Intern Teacher, Preschool/Early Intervention with CODA, Alberta Vocational College working with ESL and Deaf adults to improve their English skills. Bio: Gillian Liberman is a Social Worker, in the Cochlear Implant at The Hospital for Sick Children. She provides individual, family and group therapy to families in the Cochlear Implant program. Gillian has been working with children, adolescents and families experiencing mental health challenges for over 20 years. She is a Supervisor in the Family Therapy Treatment Seminar (FTTS) at Sick Kids. 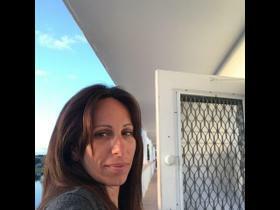 She is a member of International Centre for Excellence in Emotionally Focused Therapy. 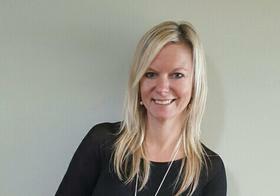 Gillian also has a private practice where she provides individual, couple and family therapy. Gillian received the Beverly Antle Legacy of Hope award in Social work in 2015. Bio: Jason Chessar's presentation is based on his own challenges learning to function and speak in public. Born with a hearing disability that required numerous surgeries to correct, Jason's youth was spent overcoming a hearing related speech impediment that left him both shy and unable to be comfortable in social situations. Finding refuge in learning magic; Jason used that ability to not only help himself to win a National speaking title but now travels across the country sharing the same steps he learned in order to help others achieve their dreams. Bio: Kelly Balkissoon is an Accessibiity Coach at Durham College. After completing her Bachelor's degree in Business, she completed two Post Graduate Certificates: Human Resources Management and Learning Disability Specialist. Kelly is currently working towards her American Sign Language certification. 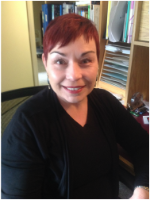 Kelly has been with the Access and Support Centre since 2014, working with all students with exceptionalities and specializes in assisting students who are Deaf and Hard of Hearing. Kelly has been Hard of Hearing for her entire life and uses her skills to advocate and ensure that accessibility needs are met. Bio: Lukas is 8 years old and wears bilateral cochlear implants. His brother Reed is 6 years old and is a great supporter of Lukas and often gets his cochlear implants for him when his brother gets to lazy :-). Bio: Mary Kay McCoy is a Realtor with Century 21 and has always been involved in various local charities so when her 2 children were simultaneously diagnosed at age 2 and 4 as deaf and hard of hearing, it was only natural that she turn her support to VOICE. Since 2003 Mary Kay has been very involved in her local Chapter doing fundraising and helping with events, a Mentor for other families, on the Executive Committee and was the Chapter Chair for 2 years. She joined the Board of Directors in 2015 when she realized that some changes needed to be made to support the organization. She is now the Chairperson of the Board of Directors and her goal is to not leave any child behind. A champion to VOICE, she engages the public so they are aware of deaf and hard of hearing challenges that families face today. she ensures that all VOICE members receive the support and advocacy they need for their children to reach their full potential. Bio: Michael Noble is a Nucleus® Implant recipient and a Marketing Manager at Cochlear Americas. Michael was born profoundly deaf and received his Nucleus 22 Cochlear Implant at the age of two. He has been enjoying the sounds of life with his cochlear implant for over 25 years. Michael won the Cochlear Graeme Clark Scholarship as a business student at Southern Methodist University in Dallas, TX in 2008. As a result, he was invited to a summer internship program at Cochlear Americas in 2010. His internship landed him a full-time position with Cochlear Americas. In 2015, Michael graduated from the University of Colorado in Denver with his Master’s of Business Administration (MBA). In his current Marketing Manager role, Michael enjoys helping Cochlear recipients hear the moments that matter most to them with their Cochlear™ Technology by way of self-empowerment, easy access to tools and services, and Cochlear programs. Bio: Mikaeel Valli completed his undergraduate degree in Psychology at York University. He is now completing his Master's degree at the University of Toronto's Institute of Medical Science graduate program with specialisation into neuroscience. When he is not researching about the brain, he serves as one of the new board of directors at VOICE, with the primary aim to reach out to the youth with hearing loss. Mikaeel was born with profound sensorineural hearing loss and was fitted with a cochlear implant on his right ear at the age of 3. His unique journey growing up learning to communicate with his cochlear implant allows him to have a special connection with the young children and teens that are going through the similar path today. As one of the board of directors of VOICE, Mikaeel hopes to use his experiences socially and academically with the cochlear implant as a tool to empower, guide and mentor today's youth. With VOICE, he has the desire to give back to the community and ensure that the youth with hearing loss of today have the drive to become successful and productive adults tomorrow. Bio: Nina Poersch was a contestant on Survivor Season 30, Worlds Apart, and is best known as the first contestant to participate with a cochlear implant. In 2007 she suffered a rapid decline in hearing. She had to advocate for herself and convince her ear clinic to test her. It was then that she got the approval for the implant and she received her 1st cochlear implant that September. This experience taught her that if you want something bad enough, you have to fight for it and you don’t give up. After getting the implant, Nina has looked at life through a different set of eyes. Being deaf doesn’t mean you can’t do things that a hearing person can do, and she firmly believes losing her hearing has not held her back. She is an avid hiker and runner and hopes to climb Mt. Whitney and run a marathon in the next two years. She is also writing a book, in addition to blogging, about her hearing loss and following her dreams, one of which was competing on Survivor. Nina’s motto “Go for it, Live it, Experience it” is how she lives life. She is grateful for her cochlear implants and for being given a voice to empower others like her. Bio: Peter Stelmacovich, is an audiologist and the FM and SoundField Product Manager for Phonak Canada. Peter was late-deafened and a CI user whose expertise and advocacy have supported people across the continent. He writes a column for the Canadian Hearing Report called The Deafened Audiologist and is an active musician playing bass guitar in a band called Below the Belt. Bio: Tom and his wife Jill have been members of VOICE for 12 year, since their son Evan was diagnosed with a moderate to severe hearing loss. 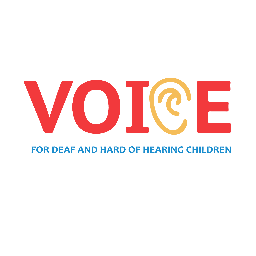 They have been involved in various fund-raising activities and events for VOICE. Tom has a degree in Mechanical Engineering from Queen's University. Previously worked at companies such as Molson Breweries, Campbell Soup, Union Securities and also helping his wife Jill with her Accounting/Bookkeeping business. Tom is a numbers guy and Trades stocks for a living using proprietary algorithms. Tom is a current VOICE Board Director keeping them on track as the Treasurer. 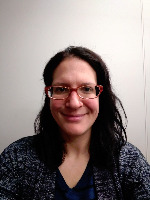 Bio: Vicki Bonanno, MSW, RSW is a Registered Social Worker, currently working as an Advisor to Students with Disabilities at the University of Guelph. Vicki has a commitment to providing accessible learning for all students including those with a hearing loss. She has a commitment to addressing the issue of audism in society. She has worked in the hard of hearing and Deaf communities since 2002. Vicki is fluent in American Sign Language. Bio: Vlad Solokhine is a Certified Financial Planner with over 10 years of experience in the financial services industry. He has worked for a major Canadian bank, an insurance company, and a mutual funds company in advisory and senior management roles. In his financial planning practice Vlad specializes in helping one of the most vulnerable category of Canadians – people with disabilities. He volunteers with different charities and not-for-profit organizations associated with helping people with special needs. Vlad lives in Markham and in his spare time enjoys family activities with his wife and three children. Interesting fact – Vlad has a Bachelor Degree in Physics. 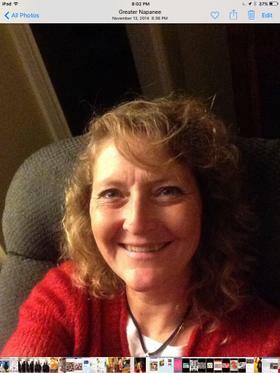 Bio: Rhonda Quesnel – C. Psychological Associate and parent of a child with a hearing loss. • Parent to 3 children, 2 daughters with normal hearing and 1 son who was born with a profound hearing loss. Harry is bimodal (wears one hearing aid, one cochlear implant) • Worked at the Toronto Catholic District School Board for 25 years as school psychologist. For the last 11 years of her career, she was a member of the Deaf and Hard of Hearing multi- disciplinary team as the team psychologist. • Voice SEAC representative for 16 years at Halton Catholic District School Board • PAAC on SEAC representative for 5 years (Provincial Parent Associations Advisory Committee). • Chair of Education Committee for Voice for several years. Committee is not active at the moment. • Member of the very recent “Reference Group” on DHH to the Ministry of Education. Bio: Jane Peters has been working with children who are Deaf and hard of hearing for more than 35 years. She has taught in Provincial Schools and as an itinerant teacher, and for the past 15 years has been a Ministry consultant to Boards. She is a LSLS Cert. AVEd and has been working with families in their homes for the past 7 years. Bio: As well as being a great driver, Kris is a great story. Kris was born profoundly deaf and embraces his situation and actually uses it as an advantage when racing. He has learned to drive by feeling the car. Ask Kris Martin to do something for you and his standard response is “Not a problem.” Stepping in a race car that reaches speeds of over 200 miles per hour. Not a problem. Speaking to over 300 hundred students who look at him as a role model. Not a problem. Being born profoundly deaf. Not a problem. In fact, being born hearing impaired may have helped Kris. He learned to race by primarily using his tactile senses, and has given him a great ability to feel the track and use his instincts. Today Kris is actually able to receive partial hearing through the use of a implant he had surgically implanted when he was 8-years old. A company Phonak Hearing Systems created an audio device that uses radio frequency which allows Kris to communicate with his spotters. The technology was originally created to allow hearing impaired students to hear their teachers properly and not fall behind in class. According to Kris, this device is crucial for racing. “If I can’t hear my spotters, I can’t race.” Years later and many trophies collected Kris is looking to take it to the next level. He has been offered a full ride for Lee Faulk Racing for the season. This will happen if he is able to find sufficient sponsorship. He certainly has the talent to race and he comes with racing in his blood. Warren Coniam(Uncle) and Doug Syer(Grandfather) are both in the Canadian Racing Hall of Fame. Kris also is strong proponent of giving back to those who are alike himself. A role model for many, Kris speaks to children and charities across North America. His speeches give hope to not only children, but to parents that their children can defy any odds that may be placed against them. 2010 created some exciting moments for Kris including being featured on Discovery Channel’s television show Daily Planet. As exciting as 2010 was for Kris, in 2017 he will be taking it to the next level. Ask him if he is ready. He will tell you...not a problem.